Salman Khan’s simply narrated, faceless home videos on everything from algebra to French history have been viewed half a billion times. Last year, a number of schools began “flipping” their classrooms, having students study Khan videos by night and do homework with teachers by day. His staff has been ramped up to 32, including the recent high-profile addition of Google’s first hired employee, programming ace Craig Silverstein. The staff’s immediate mission is to further broaden the site’s content and improve assessment and feedback features so the Khan Academy experience becomes more interactive. 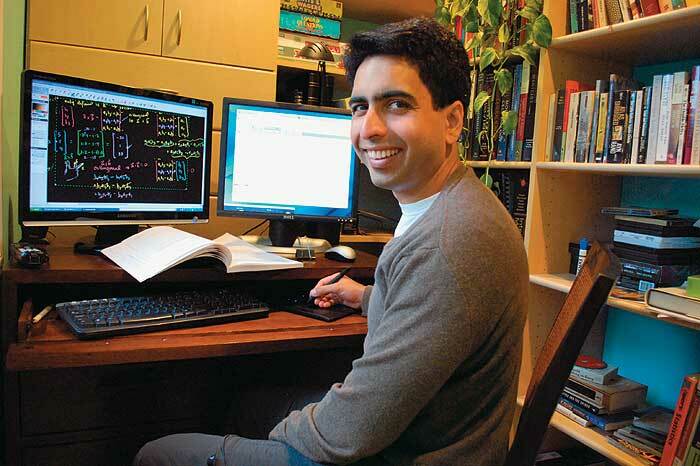 This summer, he’ll launch the first Khan Academy Discovery Lab in Palo Alto, Calif., a small, project-based summer camp “that’s like a lab for us, so we can learn more about how kids learn,” he says. If it’s a hit, the labs will expand nationwide next year. And after, perhaps a bricks-and-mortar Khan Academy. Khan Academy is part of a looming tech-education iceberg, says Victor Hu, head of education technology and services for Goldman Sachs. ”Technology is doing to education what it’s done to countless other industries: disrupting it,” Hu says. “Where education once was static, bound to a textbook, now it’s moving to a global, interdisciplinary model.”.